Are verification and fact checking the same thing? The two terms are often used interchangeably, sometimes causing confusion, but there are key differences. “Verification is the editorial technique used by journalists — including fact-checkers — to verify the accuracy of a statement,” says Bill Adair, the founder of PolitiFact and currently the Knight Professor of the Practice of Journalism and Public Policy at Duke University. 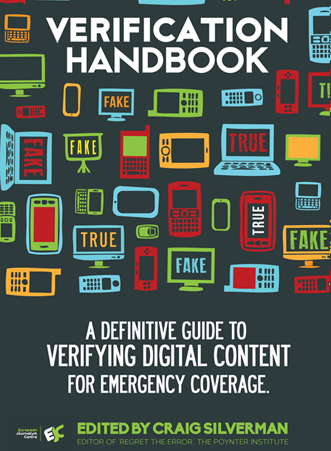 Verification is a discipline that lies at the heart of journalism, and that is increasingly being practiced and applied by other professions. Fact checking is a specific application of verification in the world of journalism. In this respect, as Adair notes, verification is a fundamental practice that enables fact checking. They share DNA in the sense that each is about confirming or debunking information. As these two terms and practices enter more of the conversation around journalism, user-generated content, online investigations, and humanitarian work, it’s useful to know where they overlap, and where they diverge. Fact checking as a concept and job title took hold in journalism in New York in the 1920s. TIME magazine was at the time a young publication, and its two founders decided they needed a group of staffers to ensure everything gathered by the reporters was accurate. The most important point to remember in checking is that the writer is your natural enemy. He is trying to see how much he can get away with. Remember that when people write letters about mistakes, it is you who will be screeched at. So protect yourself. Soon The New Yorker had fact checkers, as did Fortune and other magazines. Fact checkers have occasionally been hired by book publishers or authors to vet their material, but it remained largely a job at large American magazines. The ranks of magazine checkers has thinned since layoffs began in the 1990s. Today, some digital operations including Upworthy and Medium employ staff or freelance fact checkers. But there are fewer working today than in decades past. In fact, the work of fact-checking has largely moved away from traditional publishing and into the realm of political journalism. In 2007, it was joined in that mission by PolitiFact. 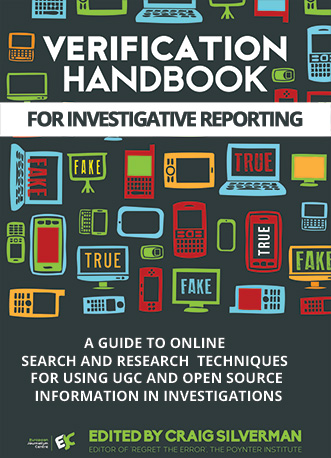 Today, according to a study by the Duke Reporters Lab, there are more than 40 active so-called “fact checking” organizations around the world. They primarily focus of checking the statements of politicians and other public figures. This is increasingly what people mean today when they talk about fact checking. PolitiFact writers and editors spend considerable time researching and deliberating on our rulings. We always try to get the original statement in its full context rather than an edited form that appeared in news stories. We then divide the statement into individual claims that we check separately. When possible, we go to original sources to verify the claims. We look for original government reports rather than news stories. We interview impartial experts. The above notes that in order for PolitiFact staffers to do their fact checking, they must engage in the work of verification. Once again, it is the application of verification that enables the act of fact checking. 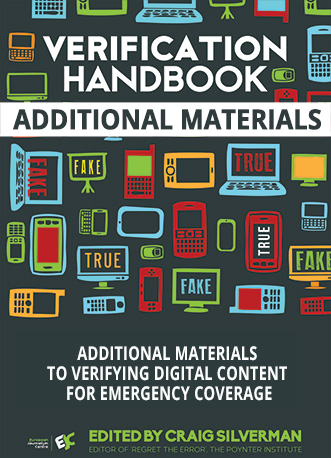 In their book, “The Elements of Journalism” Tom Rosenstiel and Bill Kovach write that “The essence of journalism is a discipline of verification." This is a useful definition of verification. It also helps describe the process applied by fact checkers to do their work. You can't be a fact checker without practicing verification. But verification is practiced by many people who are not fact checkers — or journalists, for that matter. Verification has come back to the fore of journalism, and taken on new urgency for people such as human rights workers and law enforcement, thanks to the rise of social media and user-generated content. "Not too long ago, reporters were the guardians of scarce facts delivered at an appointed time to a passive audience," wrote Storyful CEO Mark Little in an essay for Nieman Reports. "Today we are the managers of an overabundance of information and content, discovered, verified and delivered in partnership with active communities." That abundance of content, from disparate sources spread all over the world, makes the application of verification more essential than ever before. Social media content is also increasingly important in humanitarian, legal, public safety and human rights work. Regardless of their goals and role, more and more people are working to verify a tweet, video, photograph, or online claim. Knowing whether something is true or false, or is what it claims to be, enables a range of work and actions.